Things that have once been in contact with each other continue to act on each other at a distance after the physical contact has been severed. The 'contagious magic' described famously by anthropologist James Frazer in his study of 'savage' societies is one example of the many forms of magic reliant upon supernatural agency which cultural historian Simon During contrasts with the secularized illusions of the theatrical conjuror in Modern Enchantments [Harvard 2002]. 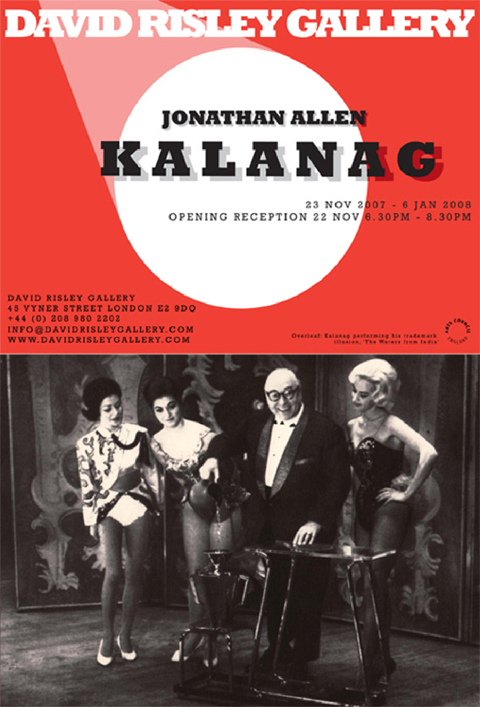 In KALANAG at David Risley Gallery, Jonathan Allen problematises clear distinctions between these different forms of magical enchantment in a photographic installation that focuses on Adolf Hitler's notorious 'minister of magic'. 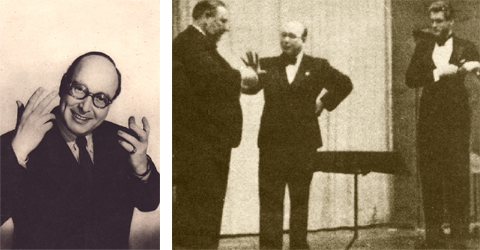 The reputation of German magician Helmut Schreiber (1903-1963), also known as 'Kalanag', lies in tatters within the magic community due to the confirmation late in his career of his sympathetic interaction during WWII with high-ranking members of the Nazi party, performing to amongst others, Hermann Göring, Martin Bormann, and Adolf Hitler himself. He was installed as the president of the German Magic Circle by 1936, presiding over its anti-Semitization during the following years, and was editor of the German Magie magazine from 1927-1945. Schreiber distinguished himself during the same period as a producer within the German film industry, benefiting from personal interventions by propaganda minister Joseph Goebbels. Schreiber took advantage of the economic confusion following the cessation of WWII, to emerge within a few short years with one of the most lavish and indeed last touring illusion spectaculars of its kind. The Kalanag Magical Musical Revue carried the magician and his wife Gloria De Vos worldwide from the late 1940s until his death in 1963. Schreiber's largely forgotten story poisons the history of theatrical magic during the period, indicating a suggestive alignment between the traditional benignity of illusion on the magic stage, and the coercive use of illusion at the service of political might. In common with the extended oeuvre of Leni Riefenstahl, Schreiber's magic act casts audiences within a play of contradictions and commitments, balancing the amnesial pleasure of illusionistic spectacle with the problematic contextualisation of a protean figure devoted to self-interest on the fringes of power. Allen draws the viewer into this conflicted field. Over the past three years, the artist has circumvented the stigma amongst many magicians attached to Kalanag's props and ephemera, and obtained a range of items relating to the magician's past. 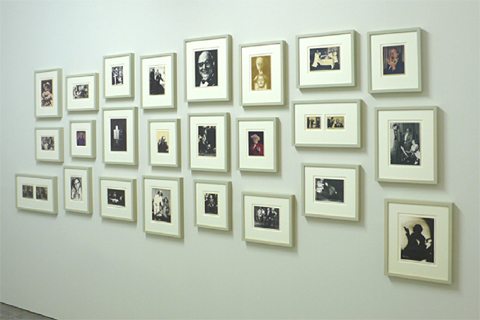 A number of small framed photographs derived from this collection can be seen in the gallery, each re-photographed by Allen from their documentary sources and then meticulously re-printed: Kalanag saws a woman in two in the guise of a surgeon, holds the leash of Simbo the performing cheetah [a surprising gift from Ethiopian Emperor Haile Selassie], and works close-up tricks before the German Fuhrer. 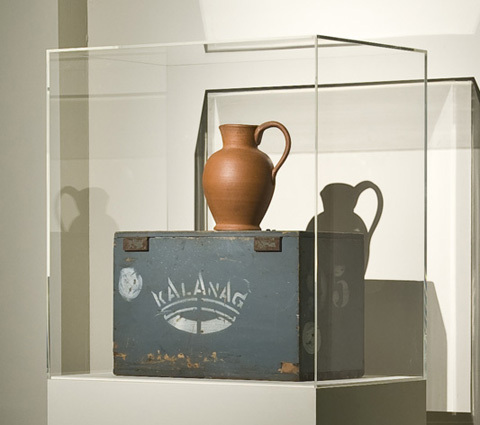 Nearby, a vitrine displays one of Kalanag's actual stage props, a tricked earthenware 'lota-vase', resting atop its stencilled transit crate. Throughout his show, the magician repeatedly poured water from this seemingly inexhaustible vessel as part of his signature illusion 'Waters From India'. 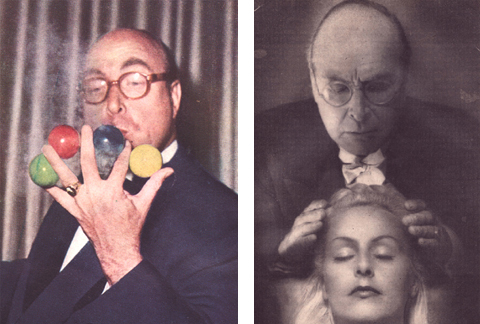 Allen performs Frazer's contagious magic simultaneously with Kalanag's theatrical magic through the gesture of reprinting each photograph with water passed through the magician's tricked vase. Now touched by water that has touched the vase, a vase touched in turn by Schreiber and all those contagiously linked to him, each photograph is re-animated, not through photography's indexical relationship with its subject - a contacting link to the real unimaginable in a digital era - but through the viewer's desire, or fear, or both, that contagious magic might work after all. 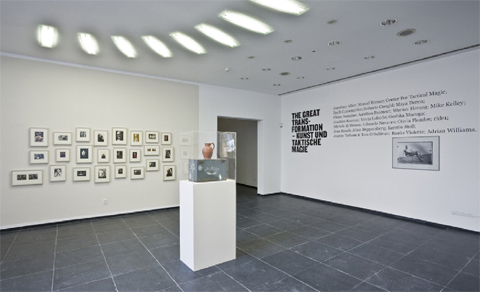 KALANAG was exhibited as part of a group exhibition, The Great Transformation: Art & Tactical Magic, at Frankfurter Kunstverein, curated by Chus Martinez and Lars Bang Larson June – Sept 2008, and at MARCO, Museo de Arte Contemporánea de Vigo, Sept 2008 - January 2009.